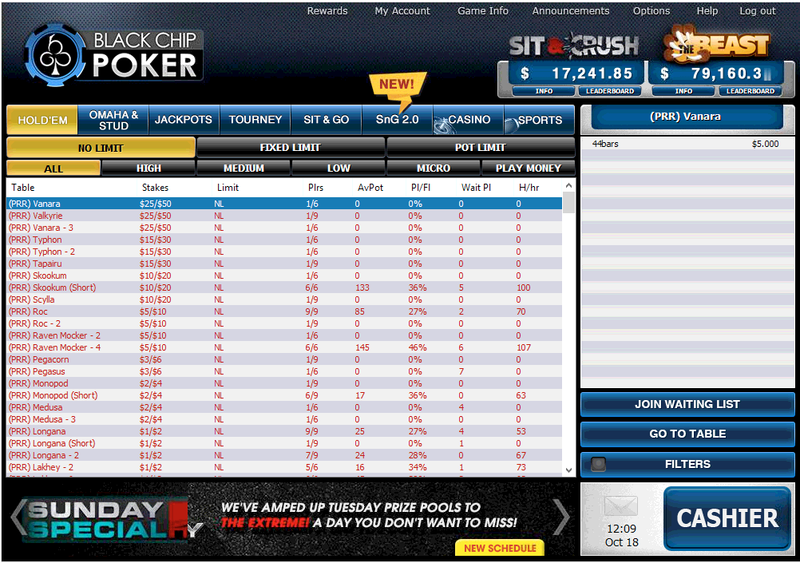 Black Chip Poker is part of the Winning Poker Network also called WPN. The Winning Poker Network is one of the 5 largest poker networks in the world. One of WPN’s strengths is their access to US markets- there are many US players at their tables. The WPN network has grown a lot in recent years and is one of the world’s fastest growing poker networks. With so many US players, tables are most active late at night. They offer many interesting promotions and great rakeback offers for grinders. 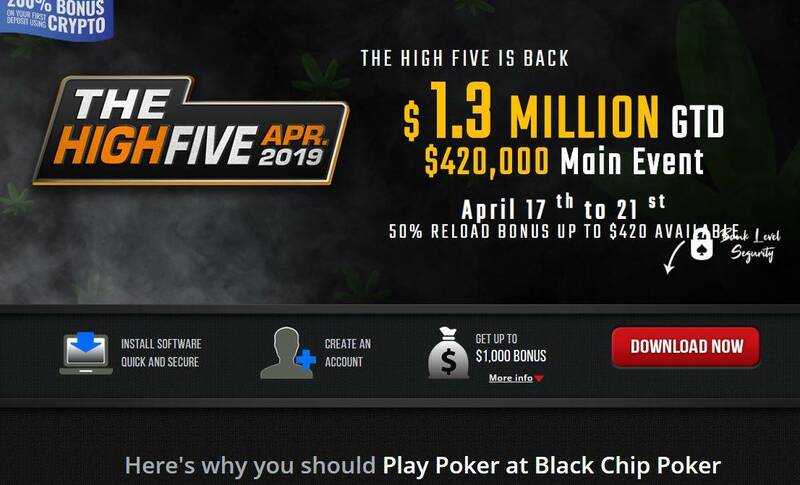 Oher poker sites offer more immediately competitive rakeback promotions than Black Chip Poker, but if you take a close look at their program and use it correctly you’ll find that you can get a lot out of it if you’re playing for the long term. In addition, their support team can adjust regular players rakeback up to a 27% Flate Rakeback. YourPokerDream offers you extra rakeback through our $25,000 Main Rake Race and if you work with our VIP team we can arrange personal rakeback deals based on your playing style and frequency. The Black Chip Poker lobby contains the details of all of their offerings. Start off at the online cashier to convert your funds, then peruse their ring games and tournaments for some high-stakes fun. No matter what your preference, you can use Black Chip’s Lobby feature to find the most suitable poker game in terms of bankroll and game preference. Black Chip Poker Cashier offers some of the best payment options on the market suited to your needs and current playing location. 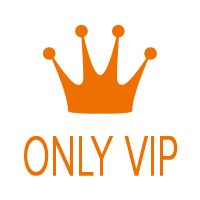 The cashier allows for quick and easy deposit and withdrawal of funds from your account. There is a deposit and withdrawal button at the bottom of the cashier that allows you to update your financial status- we recommend making a point of reviewing the options section on the cashier tab with frequency as they are constantly offering new payment methods. A major benefit of their platform is that BlackChipPoker accepts Bitcoin and other cryptocurrencies! From the lobby you can sit back and check out the variety of games on offer. Most players can be found at the Texas No Limit Holdem Cash Game tables. There are nearly always players on all limits. If Holdem isn’t your game, we recommend checking out the Pot Limit Omaha tables which are also often bustling. . Black Chip Poker also offers regular and exciting Multi-table tournaments allowing you to compete for large cash prizes. 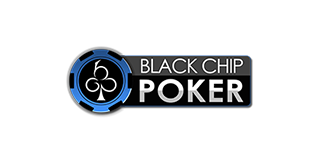 Black Chip Poker offers different tournaments every day ranging in variety from normal freezout tournaments to rebuy tournaments and everything in between. Black Chip Poker also offers several tournaments with a guaranteed prize pool. And of course there are always full tables for the Sit & Go player, especially on the tables with buy-ins less than $10. At the higher buy-ins the traffic diminishes and the tables are only open during peak hours. However, Black Chip Poker continues to grow, and we have seen an increase in traffic across all tables in recent months. There are a number of promotions on offer at Black Chip Poker. They have a welcome bonus that is set at 100% up to to $1000. They also offer a Jackpot Poker promotion, a fast-paced, 3-max player, Turbo Sit & Go tournament that allows players to earn rewards at up to 2500x their buy-in. Players can earn up to $100,000 in minutes. The large number of poor players and big profit opportunities mean these Super Turbo tournaments are very popular. Their Sit and Crush promotion allow players to earn points for simply playing playing in any Sit & Go tournament*, JackpotPoker Game or On Demand tourney. At the end of each week, the players with the most points are awarded thousands in real cash prizes. There is a Sunday Special Tournament that offers prizes up to $150,000, and a Demand Freeroll offered every day for 24 hours. Black Chip Customer service has a comprehensive FAQ for most common questions, and customer support available live 24/7. Well populated games across all variants and the many US players ready to give up their money means that BlackChipPoker is a solid choice. Their rakeback offer is not the best at first glance, but it does generate serious funds in the long term, and they have some pretty amazing extra promotions. Their poker software is easy to use and has great multi-table functionalities. The user interface is clearly arranged so navigating their site as a first-time player is quite easy. Payouts are handled quickly and their variety of deposit and withdrawal options are uniquely varied (cryptocurrencies included!). BlackChipPoker is a safe bet. How long needs a withdrawal? By Skril or Neteller payouts needs between 12-48h. In the most cases you have your withdrawal after 8-14h at your skrill or neteller account. You don’t have a Skrill or Neteller Account? 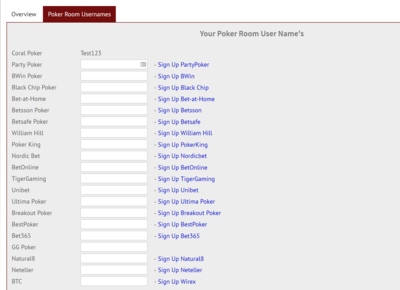 How to sign up correctly via YourPokerDream at Black Chip Poker? Step 3: Install the software. Step 4: Create an account just following the steps and press at the end then create my account. Step 5: After you’ve successfully signed up for Black Chip Poker, all you have to do is log in to your YourPokerDream account and enter the username which you have chosen at Black Chip Poker and press “save changes”. From this point on, everything will run automatically and you can use all exclusive offers from YourPokerDream in addition to the normal offers of Black Chip Poker.